I'm thrilled to announce today that I've been doing some housecleaning here at Off the Beaten Path, and, as a result, everything now has a new bin and label! And so, without further ado, I introduce to you my new post labels and the topics that will be covered under them. These labels will not show up on any particular day. For instance, I used to have a Ministry Monday. But such "days" are about as constraining and uncomfortable as the 45 lb. backpack I carried on the Appalachian Trail. So we won't go to those extremes. We'll all just kindly allow me to make sure I post within any of these categories on any given day. Thanks, that's so understanding of you. 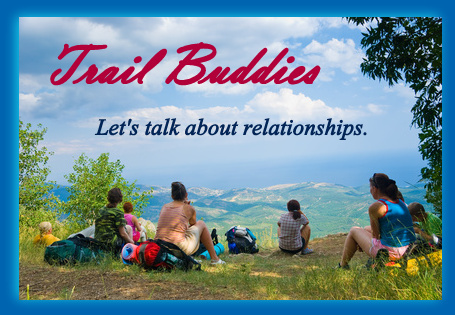 Trail Buddies will feature posts about relationships. Ok, that was obvious enough. These will mostly be posts about friendships - how to make them, keep them, keep them on track, build them, enjoy them. We all need friends with whom to walk this narrow trail. Just Me & Thee will include posts that...well...quite honestly, just don't fit in any other category. This is the bin that gives me a little wiggle room, if you will. You know what they say, "Orderliness is next to godliness, but wiggle room is just plain human." Well, someone ought to say it, anyhow. 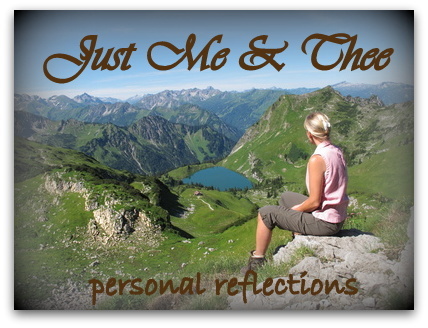 Seriously, this category of posts will include my thoughts on personal meditations and scriptures God is pressing into my heart. 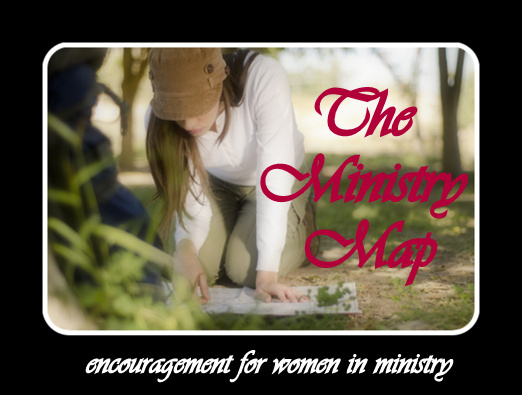 The Ministry Map will feature posts written specifically to help and encourage women in ministry. 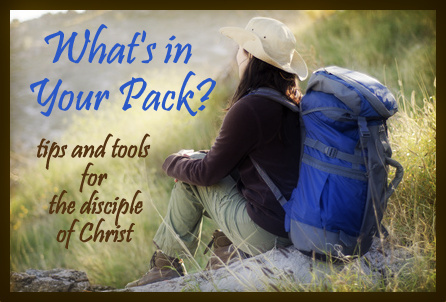 Whether you're a pastor's wife, a women's ministry director at a church, a women's speaker and/or author, a MOPS coordinator or team member, or a mentor for teen girls, hopefully you will find some helpful tips, good resources, insights, and encouraging words here. 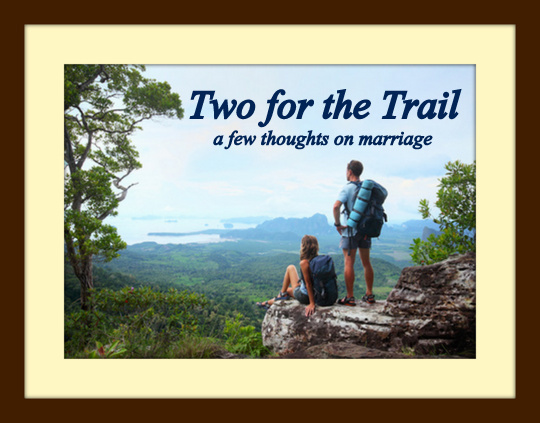 Two for the Trail will include posts about marriage. That's pretty much it. 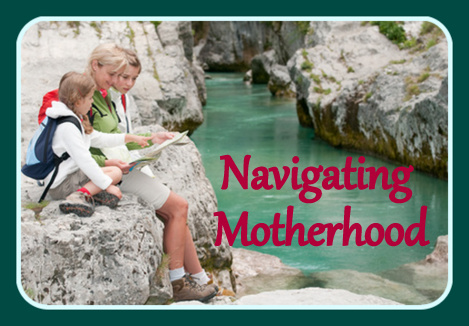 Likewise, Navigating Motherhood will feature posts on mothering. I do want to point out that I will try to go the gamut on motherhood - from being a mother to preschoolers, to school age children, to teens, and to adults. We'll talk specifics, but we'll also keep it general enough to where you can hopefully glean something useful from it wherever you may be in your mothering adventure. What's in Your Pack? will include posts that focus on tips and resources for the gal following Christ - Bible study suggestions, tips for memorizing Scripture, suggestions for practical and doable application, etc. These will apply to any woman on the road less traveled. 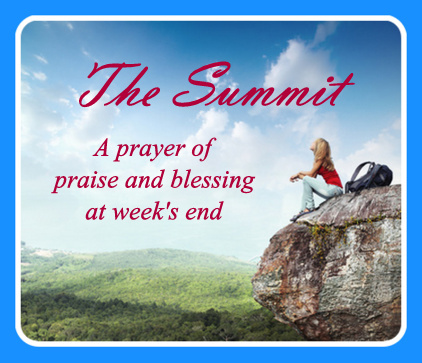 And finally, the Summit will probably, hopefully, show up on this blog every Friday. The idea is to finish the week off with a prayer of praise for how God has shown up during the week and a prayer of blessing for you as we temporarily part ways until Monday rolls around again. I do think I am the most excited about this particular bin of posts. So, that's why I'm cluing you into all this today, on a Thursday, so I can kick-off my new blog organization system with my favorite category of all tomorrow: The Summit. I do hope you'll join me! Hey, gals, please tell me what you think of all this. What category looks the most exciting to you? And while we're talking about it, are there any particular topics you'd like to see addressed on this blog? Any questions you'd like me to attempt to answer? Your feedback is most valuable!